Stress causes many problems including many musculoskeletal complaints such as joint and muscle pain, headaches and more. Many disorders are related to stress, as you can see in the inforgraphic below. 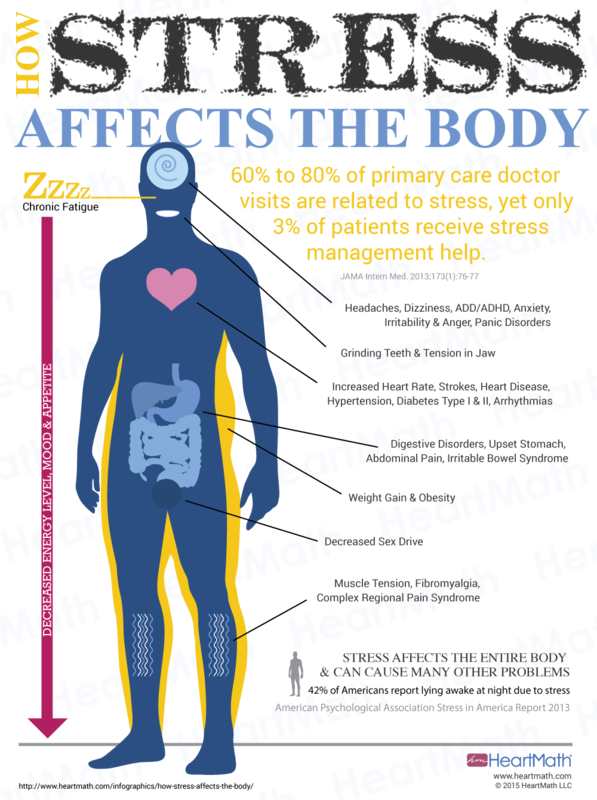 Johnson Chiropractic Neurology & Nutrition offers HeartMath heart rate variability (HRV) biofeedback technology as part of its professional offerings to give patients a drug-free choice in dealing with stress. Thankfully, there are also several HeartMath tools that one can use at home to help you train yourself to become more stress resiliant (see the special web page link at end of aricle with a speical discount).